A case study on how I redesigned the Snapshot Creation Flow for Crazy Egg. Crazy Egg pioneered click-mapping technology. It was the first company to create heatmaps - reports that show where people clicking and not clicking. Crazy Egg's Snapshot feature consisted of five reports (including heatmaps). It provided data for digital marketers so they could improve their website, increase engagement and increase conversion rates. Crazy Egg's Snapshot Creation process was originally designed to create one Snapshot at a time. I interviewed 15 customers to identify pain points. Setting up advanced tracking options like wildcards and regular expressions felt like rocket science. Our customers sent in emails asking for our team's help to check if they did things correctly. Users were confused and lacked the confidence to use our most powerful features. 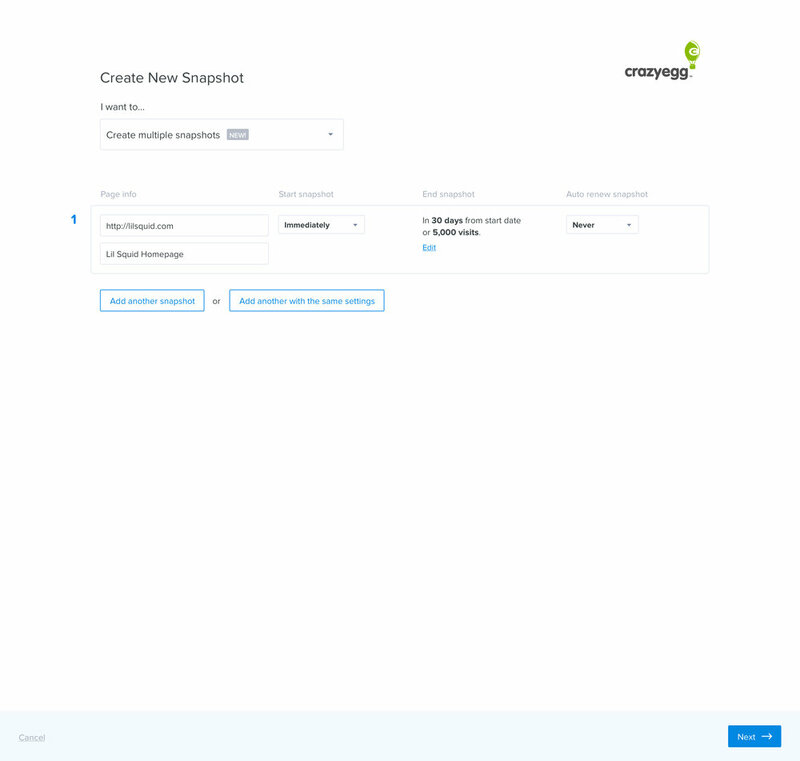 Here are before and after shots of the Snapshot Creation flow interface. Meet Michael, a digital marketer. As a digital marketer, I want to create 10 Snapshots at a time so that I don't have to waste time creating one at a time. After crafting a persona and user story, I wrote down epics and needs. The purpose of the epic and the needs is to understand the scope and figure out how to meet your users’ needs. 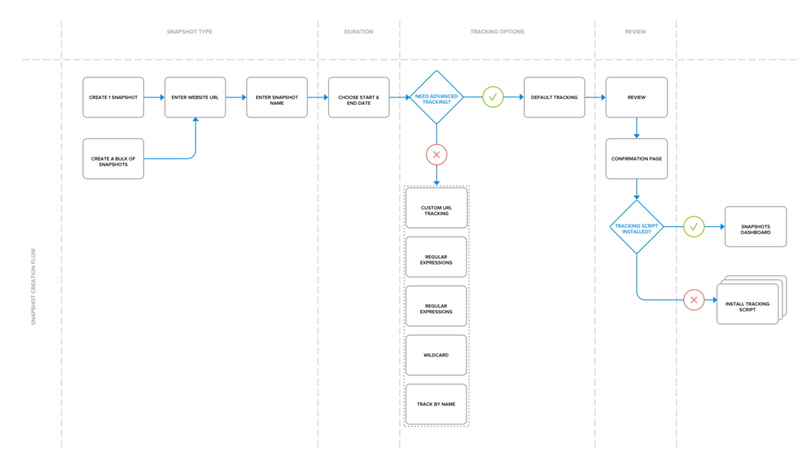 With the design stories, we can address each story one at a time in the task flow. I created a clickable prototype and conducted successive rounds of usability testing. Stay focused on the problem. Test ideas with the Crazy Egg audience. Don’t get attached to solutions.